Posted on August 16, 2018 at 1:11 pm. 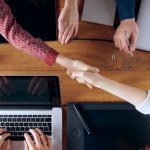 Mark Hollyoake is a co-founder and director of Customer Attuned – a UK partner of Deep-Insight – and is the author of this guest blog. Mark is currently studying for his Doctorate at Southampton University, focused on Trust as a dynamic within business-to-business customer relationships. He is an expert in B2B Customer Experience (CX) and Customer Management (CM). This includes CM strategy development; execution of improvement plans including organisational modelling for customer management); programme design; and partnership & alliance development. Like our personal world, business to business can also be surrounded by fake news, false claims, unethical behaviours and self interest. Never has there been a time when trust has been so important. It has been proven to have a positive impact on relationship development and performance. It is a fundamental element to the development of a long lasting B2B relationship. 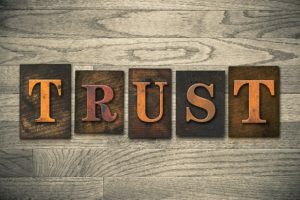 With the need for trust being at an all time high, how can I ensure my B2B relationship is trustworthy and how can I use trust to build and develop it? During my Doctoral research, I have investigated many models and frameworks devoted to systematically growing trust within B2B. The majority of these focus on the interface between customer management and customer experience with varying degrees of competence and rigour. No doubt, your existing customer plans will be built on some of these findings. 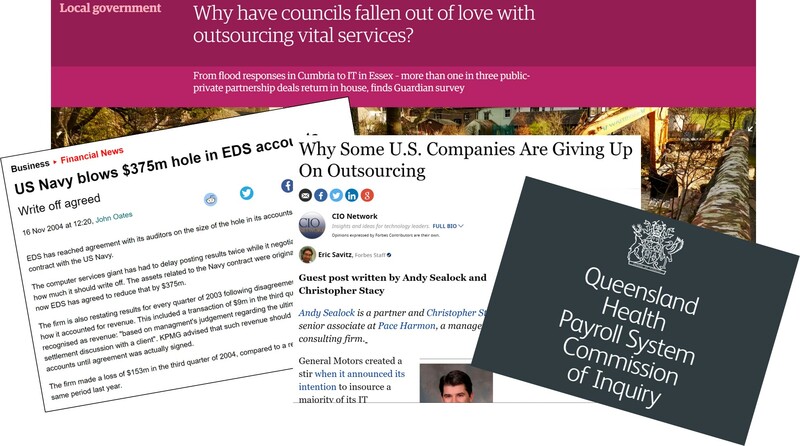 What none of them have done to date is to analyse the available data on trust and synthesize the research to develop a cohesive framework that systematically enables B2B organisations to develop and apply Trust to a real life business to business relationship – or ‘in short’ create a whole organisation systematic approach. Doing this, gives organisations the advantage of being able to quickly identify areas where you have strong applications of Trust (interdependence) or less bonded relationships (transactional). 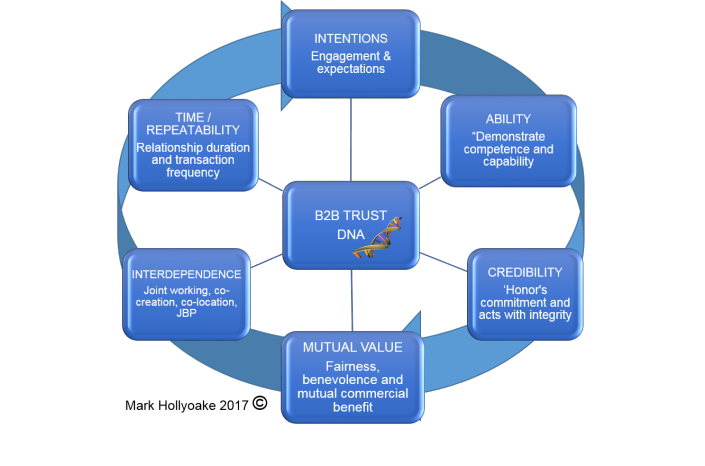 We have been working with B2B customer relationships for over 30 years and studying trust as an integral element of B2B relationship development for the last 20 years. Building on our practical, pragmatic and applied academic research / thinking we developed a B2B model for trust. The Trust DNA™ model has emerged from my doctoral research and a recent re-defining of trust within a B2B context (Hollyoake, Ashleigh & Higgs 2017) that develops the elements of the definition into the Truscould apply to a real live business to business relationship. -Intentions (I), the expectations you hold for the relationship, how much you plan to get involved and strategic focus? In, essence, what’s your appetite for risk with this customer? -Ability (A) How good are you at what you do? This relates to your competence and capability in your sector, category and/or market? This covers not only your products, solutions, services, but the people that interface within the relationship. -Credibility (C) This is often glossed over as reputation. In this context it’s a lot more encompassing, how commitments are met – do you do what you say? How does the organization act within the relationship and the level of integrity? Within B2B relationships, it can be the partner’s credibility within a sector and/or category, market to realise value from the relationship, for example Airbus approaching an engineering company to make plane parts, exploring development of a plane and their part in the process would come with a lot of credibility. Mutual Value (Mv) Within the relationship, does the level of mutual commercial benefit appear fair? Do you see a level of benevolence in the relationship and the dealings between both sides. With the Trust DNA™ established, it is possible to evaluate your relationship and the level of trust that exists. This then leads to the possibility of predicting the mutual value potential you could achieve from a customer relationship by developing different elements of this. The output from your TRUST DNA™ assessment allows you to identify what you could do to develop and build the relationship and how you could pro-actively use trust building. i.e. you could find the scoring is down around interdependence, this may be as simple as working in their office once a week. It might come out at a more advanced level, which may require the development of a co-created joint business plan. This is just one of numerous example of how the TRUST DNA™ can be pro-actively applied to develop your business. It’s been proven through academic research. It’s been proven through practical application. How Do I Improve my Net Promoter Scores? Posted on September 14, 2017 at 1:18 pm. In Europe we are still a few years behind the USA but the question of improving net promoter scores will dominate executive leadership discussions on this side of the pond for the next few years. 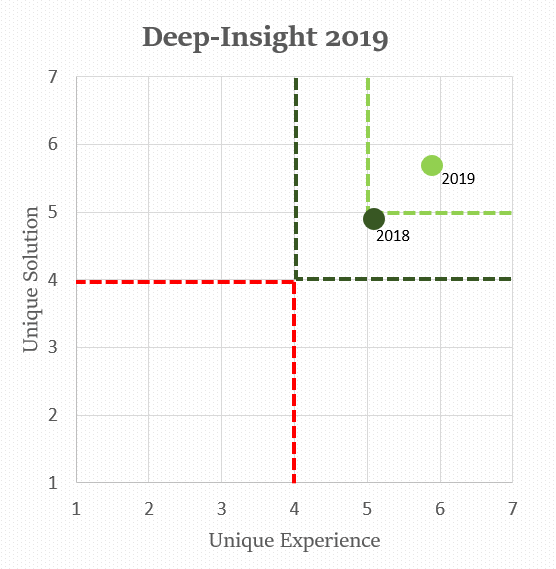 Deep-Insight has been gathering NPS data since 2006 across more than 80 countries for B2B firms operating across a variety of different industries. A few years ago, we integrated NPS into our Customer Relationship Quality (CRQ) methodology. We now have tens of thousands of data points – all exclusively from B2B companies – showing what items are strongly correlated with NPS and what items are not. A quick word on terminology: Accounts where you have the strongest and deepest relationships are called Ambassadors. An Ambassador account will typically have many ‘Promoters’ and few ‘Detractors’. At the other end of the relationship spectrum are accounts that we call Stalkers and Opponents. These accounts typically have few ‘Promoters’ and a large number of ‘Detractors’. 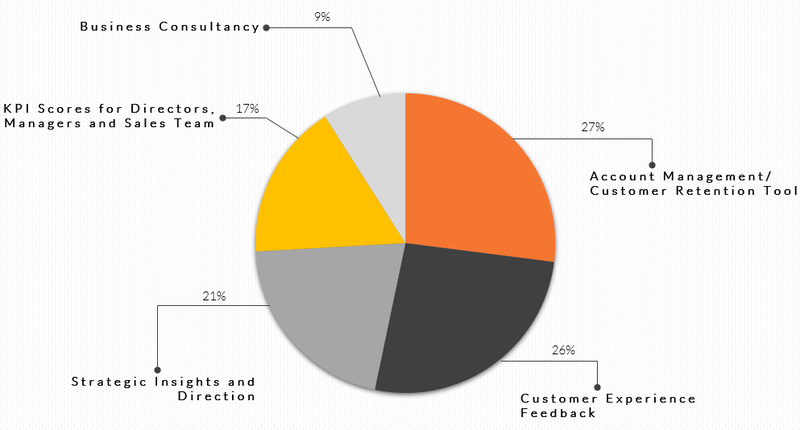 The pie chart on the right shows what a typical client portfolio looks like for a European B2B organisation – the majority of accounts have good relationships and a third of accounts have excellent relationships. 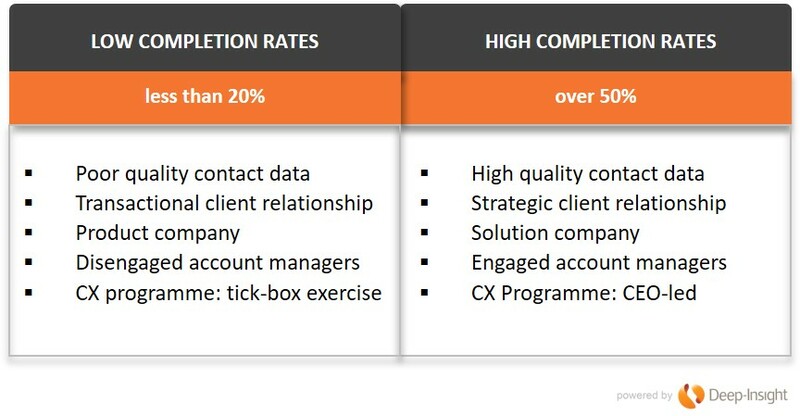 As the graphic on the left shows, the key elements of any business relationship are Trust, Commitment and Satisfaction. It will come as no surprise that each of these elements is highly correlated with a customer’s willingness to recommend a company (the NPS or advocacy scores). But Trust, Commitment and Satisfaction are only the outcomes of other elements of performance. We need to delve a little deeper to find out which areas to concentrate on in order to improve a company’s overall Net Promoter Score. It’s important to recognise that any large account is likely to have a combination of Promoters, Passives and Detractors. Different strategies are required for dealing with each category of individual. We also need to recognise that the actions required to turn Detractors into Passives are different to the actions required to turn Passives into Promoters. Based on more than a decade’s worth of data, we know what you need to focus on to turn insight into action. Here’s a quick summary of what we have learned. Make your customers feel valued. The one thing you should do, above everything else, to turn Detractors into Passives is to have empathy with them. Show a willingness to engage. Listen to them and make them feel valued. Accounts that generate extremely low advocacy scores (0 – 3 out of 10) do so because your contacts in that account feel both unloved and frustrated. Unloved because they feel ignored; frustrated because they believe you are not interested in solving their problems. Even if there is little that you can do as a service manager or account manager to fix their problems immediately, you need to tell them that you understand how they feel and that you will do your utmost to address their issues. And be honest – if it’s going to take six months, don’t tell them six weeks. 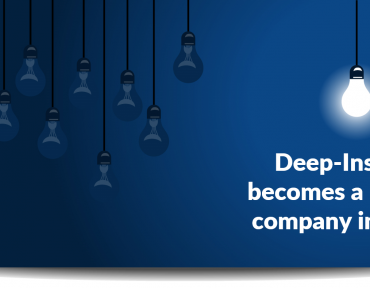 Differentiate yourselves from your competitors. The more you can differentiate yourself from the competition, the more you will be seen as ‘Leading Edge.’ Our analysis tells us that if you are perceived as a leading-edge company, your NPS score will be higher. By the way, there’s no point in trying to discuss innovation with Detractors – they just want you to address their immediate problems. Once you have done that, you have earned the right to demonstrate that you are an innovative and leading edge organisation. Not before. Provide value for money. 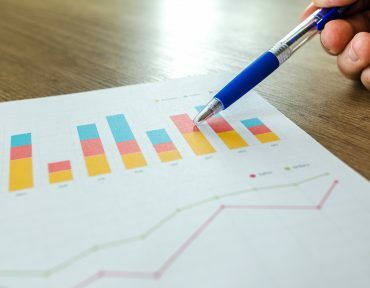 This is linked to the previous point – the more differentiated you are and the more unique your offering is, the greater the value you deliver to your client. Passives think you provide good value for money. Promoters think you provide excellent value for money. Price is rarely the issue. Focus of what you can do to increase the value of what you deliver rather than on the price at which you deliver it. Make it easier for your customers to do business with you. Regardless of whether you are a Promoter, Passive or Detractor, there is a very strong correlation between ‘Ease of Doing Business’ and NPS. So try to become less bureaucratic. Break down the silos between departments. Build cross-functional teams. Look at your processes and figure out how to simplify them. Get your clients involved – just ask them. Be proactive. Customers want you to respond quickly and effectively to their needs. That means not just reacting to problems as they occur. It means anticipating problems before they occur. That’s what good account management is all about. If you’re interested in turning NPS data into a programme that really improves retention rates and revenues, just get in touch with us. We’d love to hear from you.